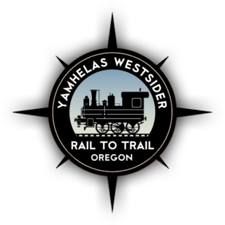 Yamhill County’s parks are “unique natural, cultural, and historic places where people can enjoy outdoor recreation and education activities”. The developed park properties provide day-use facilities for a variety of activities. These activities include: picnicking, boating, bird watching, small events and gatherings, fishing, hiking, outdoor education, and much more. To make a reservation at Ed Grenfell Park, Lafayette Locks Park, or Charles Metsker Park, please call Yamhill County Public Works at (503) 434-7515. Please note that these properties are not open to the public. To learn more about the Yamhill County Parks System, please check out the Yamhill County Parks and Open Space Master Plan (PDF). We hope you will enjoy your visit to Yamhill County Parks and if you would like more information, call 503-434-7463 or email Yamhill County Parks and Recreation.